Grumpy Old Men, Miss Congeniality, and How to Lose a Guy in 10 Days director Donald Petrie returns to the setting that helped launch his successful career in 1988's Mystic Pizza with the Toronto based Little Italy. 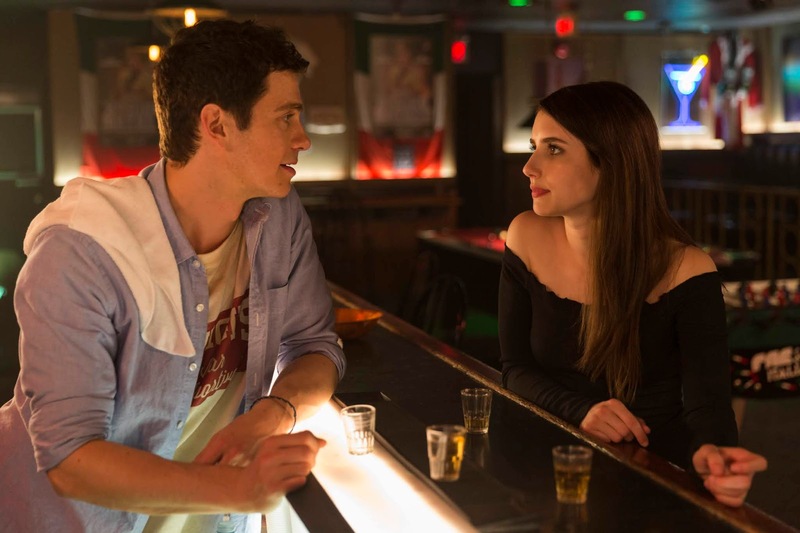 Yet whereas Mystic was more of a coming-of-age dramedy with a pizzeria backdrop, given his new film's sunshine bright high key lighting and the nostalgic sounds of Perry Como's "Papa Loves Mambo" adding bounce to an upbeat opening voice-over by stars Emma Roberts and Hayden Christensen, there's no denying what genre Little Italy is right from the start. A romantic comedy spin on Romeo and Juliet, the film takes place in and around rival pizza restaurants in Toronto's Little Italy. 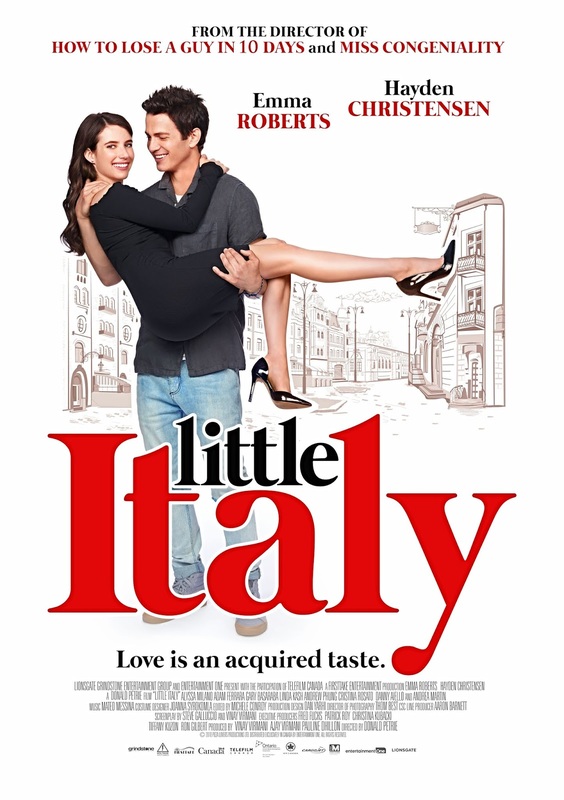 If Italy sounds familiar to you, it might be because not only has Shakespeare's tragedy been updated as a comedy many times before but the exact same premise has also made its way to the screen multiple times, including director Andy Wolk's 2005 New Jersey set cable romcom Pizza My Heart, from scripters Juliet and Keith Giglio, to name just one example. 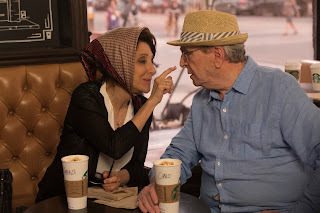 A veritable big screen sitcom, Little Italy borrows heavily from the romantic comedy heyday of the 1990s and early 2000s, and especially the box office juggernaut My Big Fat Greek Wedding. Similarly constructed with a lightweight fast-paced multi-character driven storyline – only this time where the B-plot romance darn near upstages the A-story – while Italy is ultimately average, it's sure to amuse those looking for a mindless Saturday night diversion. Returning to Toronto after five years spent abroad at culinary school and working under Jane Seymour's "Gordon Ramsay but prettier and scarier" Chef Corrine, Nikki Angioli (Emma Roberts) discovers things don't change much in Little Italy, where her father Sal (Adam Ferrara) runs a pizzeria restaurant right next door to his former friend and business partner, Vince (Gary Basaraba). 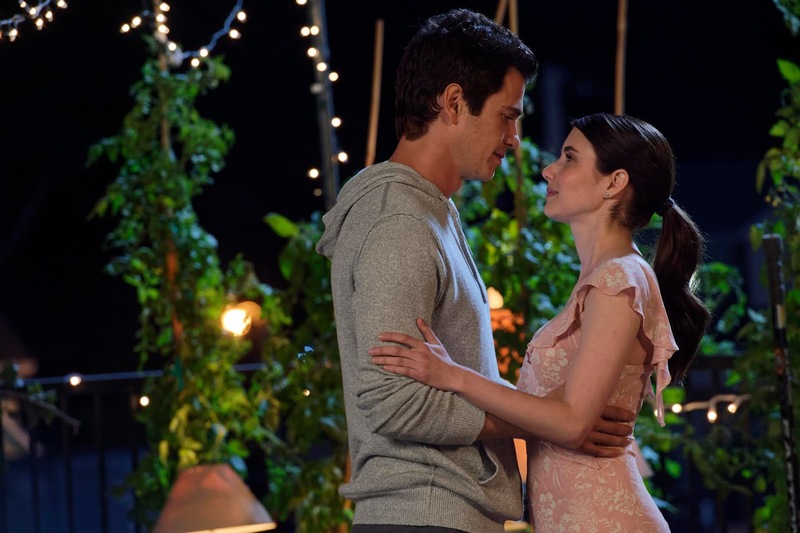 Only there to change her visa from student to worker when a dream professional opportunity opens up in London, after Nikki runs into her childhood best friend, Leo Campo (Hayden Christensen), things start to get complicated and not just because he's Vince's son. Sharing her passion for cooking organically and eager to update the menu at his headstrong father's place (which he knows will never happen), Leo and Nikki find themselves falling back into the familiar rhythm of friends with potential where it seems they're always just one moment away from amore. Meanwhile while the two younger characters flirt with the idea of flirting, their respective grandparents – including Leo's grandpa Carlo (Danny Aiello) and Nikki's “Nonna” Franca (My Big Fat Greek Wedding MVP, Andrea Martin) – have already crossed that bridge. Hiding away in the confessional at the local church before they're found out and subsequently driven to a nearby Starbucks in shame, Aiello and Martin steal focus from the rest of the talented cast including Alyssa Milano as Nikki's mom and Andrew Phung as Luigi, the gay, Asian owner of a local bar who feels far more at home living life as an Italian. Having a ball as the conflicted lovers, while Roberts and Christensen do their best to elevate what is essentially a spicier version of a by-the-numbers, made for Hallmark Channel romantic comedy, one can't help think that the film might've been far more original if they'd been the B-plot to Aiello and Martin's A-storyline. Unsure of its audience, the film takes things a bit too far with some of its more risqué humor including one just plain uncomfortable sequence where in a series of escalating pranks, Sal swaps out Vince's oregano for pot and its characters turn ridiculously horny and later in a poorly conceived weekly insult battle, the two fathers begin commenting on their children's looks and sexual prowess. Never quite paying off on the ongoing feud between their parents and essentially relegating them to the background until the inevitable moment where the film's two love stories take center stage, Mambo Italiano screenwriter Steve Galluccio and Vinay Virmani's script is full of so many ideas and characters that you get the feeling they were trying to please every possible audience member. Needless to say, it's no Mystic Pizza or Greek Wedding. Still while the recipe doesn't come together nearly as well as one of the film's many delicious looking pizzas that are sure to make your mouth water, under the buoyant direction of Petrie who knows comedy well enough to reassemble the ingredients alongside his energetic cast, Little Italy bounces back from its many missteps just enough to entertain you for its 102 minute running time.